When we learn a new language, we learn a lot of new things which are different than our own culture. 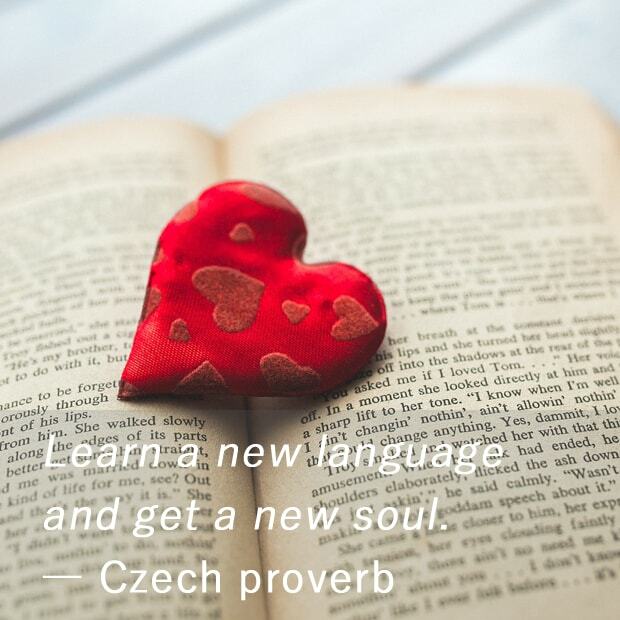 Learn a new language and get a new soul. It means that learning a new language is very good to widen your mindset and to develop your personality. When I speak Japanese, which is my native language, I'm more cautious, humble and always polite. When I speak English, I become more friendly, flexible and easy going. But why does our personality change when we switch the language we're speaking in? First, each language itself has different harmony and rhythm. Also, it's because we try to accommodate ourselves to that culture of the language. Well, that's all for today. Thank you for reading all the time, see you next time!